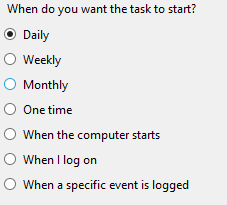 First, create a task in the task manager. Second, go to the task manager, select the task and copy the execution command. It consists of PROGRAM_PATH/ADFastReporter.exe /task TASK_ID. 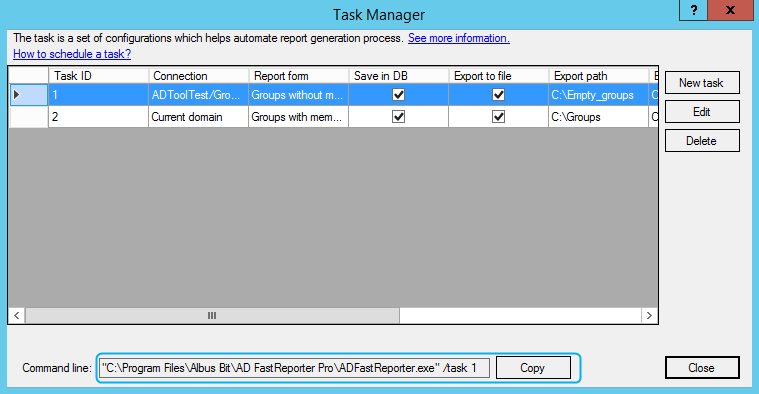 Before scheduling the task, you can test it at the command prompt by copying the execution command from the task manager. As you do this, you will see various log messages - wait until the task is complete. You can use any task scheduling software. 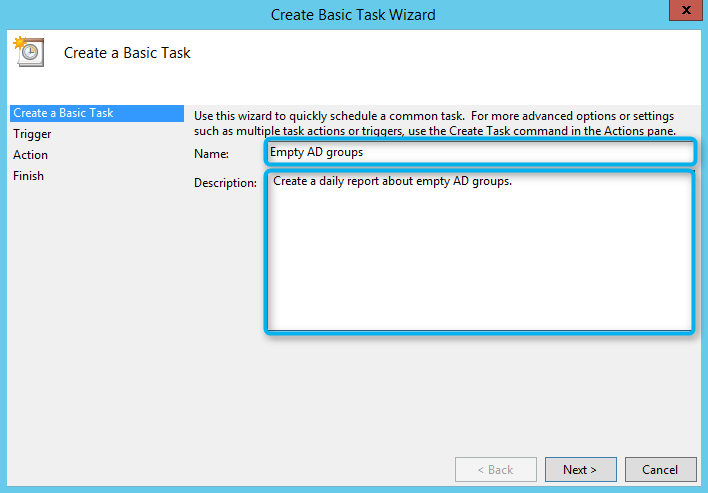 This example was created in Windows Server 2012 R2 built-in Task Scheduler. Enter task name and description. Press Next. Select the task trigger. In this example, we will use a daily trigger. Select an action - Start a program. 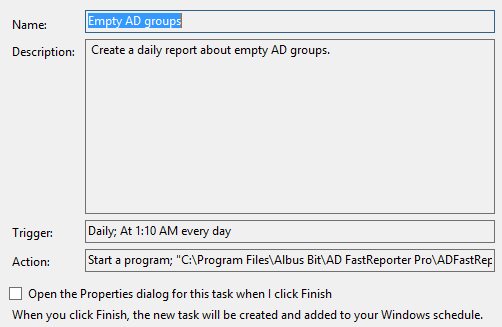 Copy the execution command from the task manager to the Program/script field. When you click Next, you will see this message - press Yes. Review your settings and press Finish.